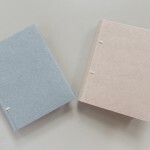 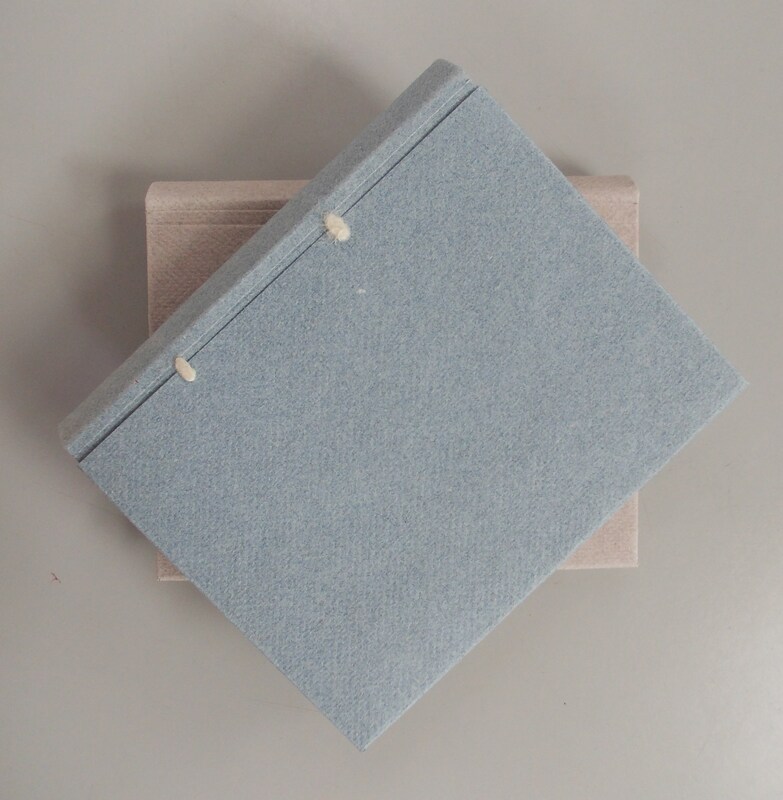 I made these models of limp-paper conservation bindings in 2015 at West Dean College during a course given by Sonja Schwoll (associate tutor, Conservation of Books and Library Materials at West Dean College). 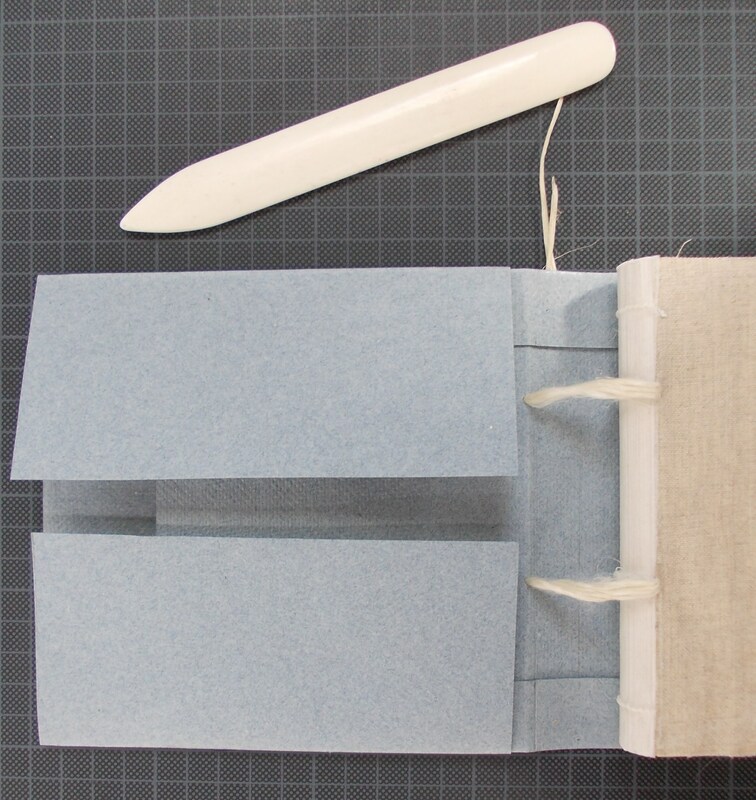 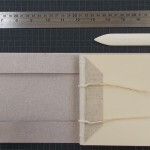 These conservation bindings were inspired by limp-vellum bindings and were developed in the 20th century in England by conservators such as Christopher Clarkson. 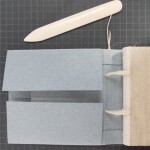 For this model, the sewing was an all-along pattern made on thin cords. 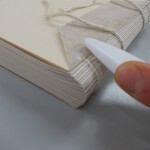 The spine was pasted with wheat starch before rounding and backing. 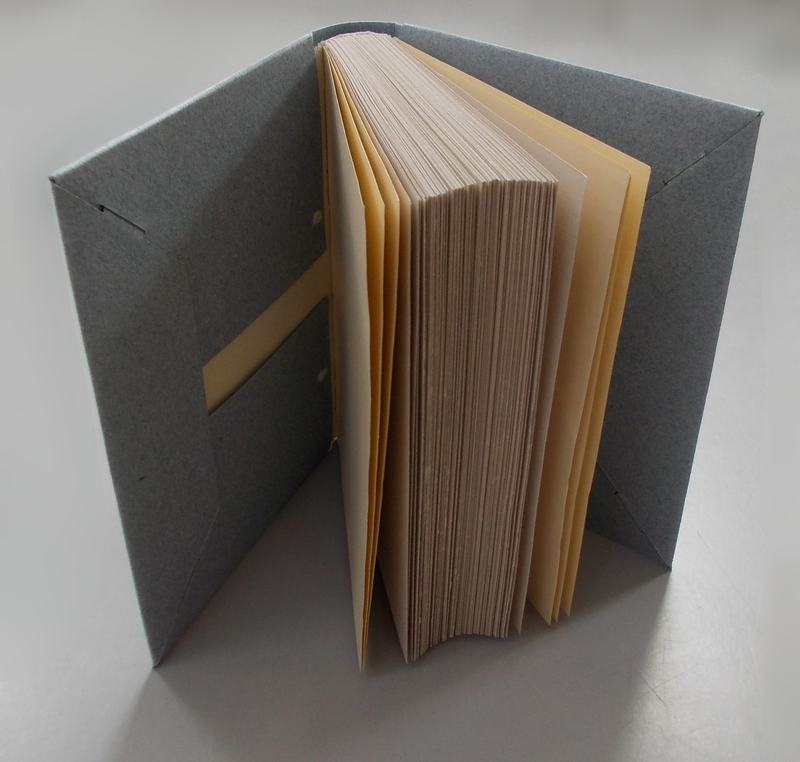 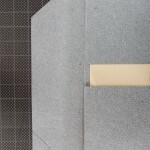 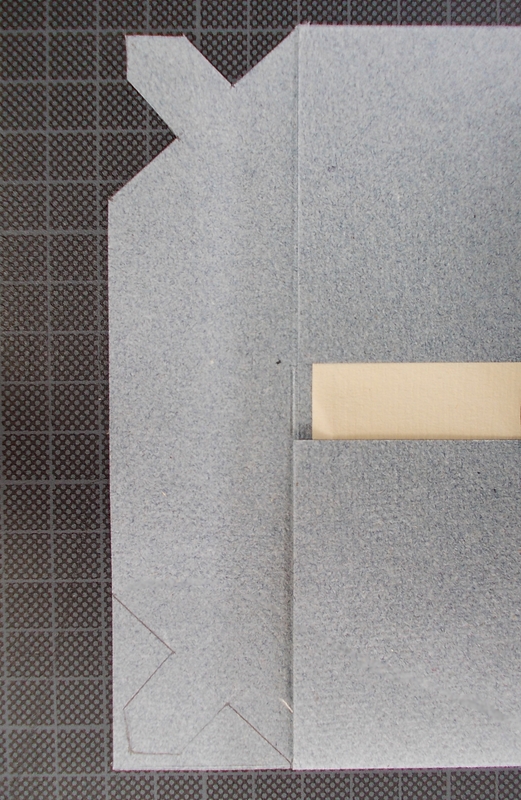 The cover was made with a folded carton. 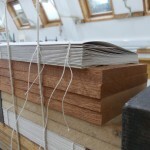 The first model was made in one piece; the second in three pieces, with two pieces being added as reinforcement for the boards. 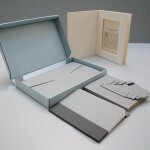 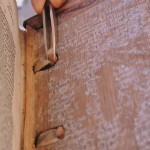 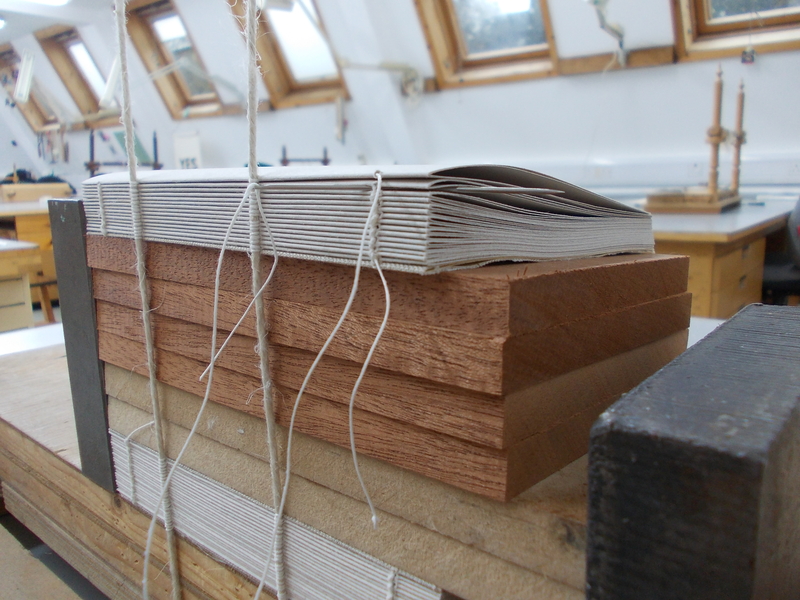 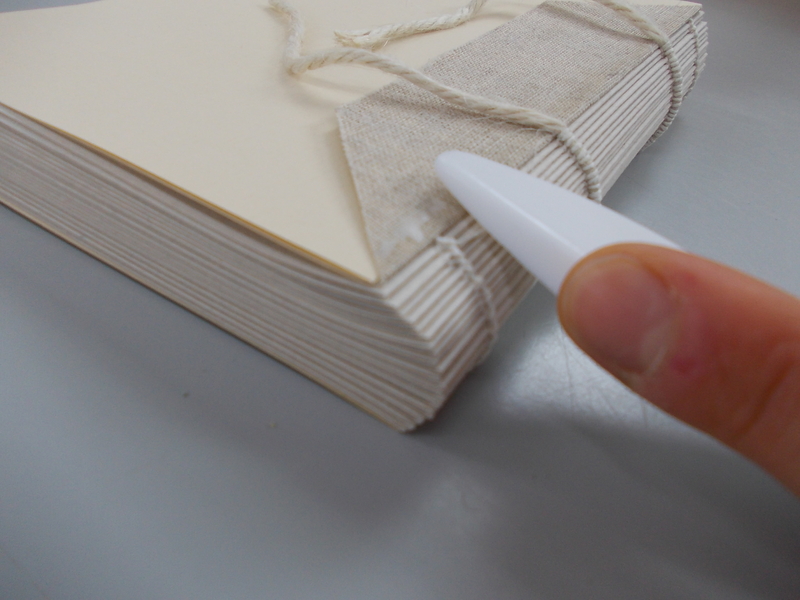 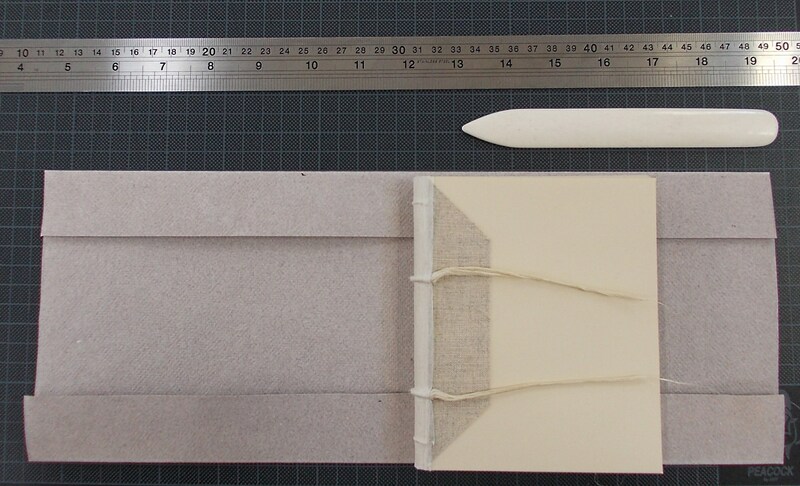 Limp-paper conservation bindings with a three-pieces cover. 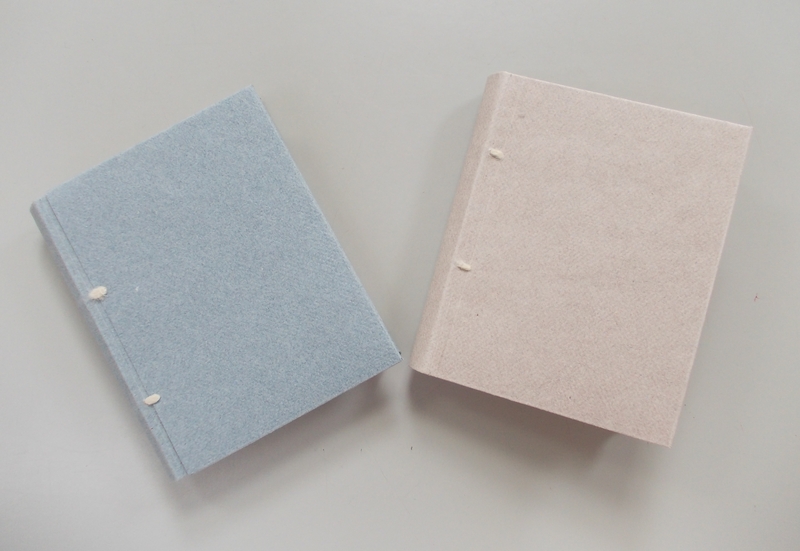 Three-pieces and one-piece cover models completed.